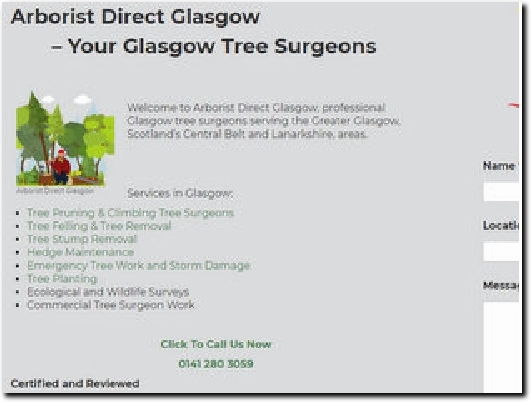 Arborist Direct Glasgow are a professional team of Glasgow tree surgeons with over 7 years experience. 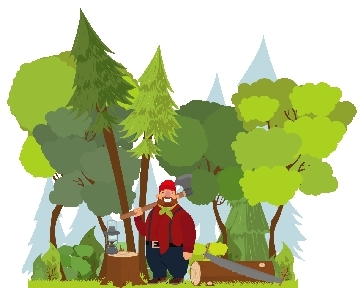 We have the tree surgeons who can either fell trees or climb high into a tree canopy to carry out any tree pruning or sectional dismantling work safely and under control. Due to the hazardous nature of the work all of our staff have the training and certification to carry out the work they do. We have testimonials on our website from happy customers and are happy to refer clients to our past clients for large works requiring references. National Standards from Local tree professionals with competitive local rates. Feel free to get in touch for Free Advice and a no obligation quotation. Fully qualified tree surgeons serving Greater Glasgow, Lanarkshire and Scotland's Central Belt, and offering a full range of services to both domestic and commercial customers. The Services tab leads to lots of information on the services available, while the Home page has the business address, phone number and an enquiry form. At the foot of each page can be found Legal which covers the terms and conditions of the business.